There’s a good chance if you own an Android device you’ve downloaded and installed an app from the Google Play Store. You probably know all about the process. But did you know today is the tenth anniversary of the Google-owned app hub? The Android Market launched on October 22, 2008, about a month after the very first Android device hit store shelves: the HTC Dream, a.k.a. the T-Mobile G1. The Android Market launched with only about 13 apps, which is a microscopic number compared to the roughly 2.6 million apps available today. In 2012, the Android Market became Google Play after Google merged the app store with Google Music and the Google eBookstore. Over the years, there have been other changes to the look and feel of Google Play, but the core functionality of the store all started with the Android Market ten years ago. To celebrate Google Play’s tenth birthday, we’ve compiled a list of interesting facts you might not know about the world’s largest app store. These facts come courtesy of App Annie. Happy Birthday to you, Google Play! Although the Apple App Store was undoubtedly the first big success in the mobile app industry, the current download rate for iPhones and iPads pales in comparison to the Android world. In 2017, worldwide downloads between the two app platforms were like night and day. The Google Play Store had 70 percent of worldwide downloads throughout the whole year, with only 30 percent left for iOS users. What’s more, the Play Store keeps gobbling up more of the pie, with its percentage increasing every single year. If trends continue, it’s likely the 2018 worldwide download numbers could knock the Apple App Store below the thirtieth percentile for the first time ever, which would be a huge deal. Even though Android users are downloading apps more-than-twice as much as iOS users, iPhone and iPad users are undoubtedly spending much more money. In 2017, the share of worldwide consumer spend within both Android and iOS was almost exactly the opposite of the number of downloads. Last year, iOS devices accounted for 66 percent of app spending, compared to Android’s paltry 34 percent. What’s worse is the ratio was the same in 2016, and last year’s split was worse than the split in 2015. We don’t yet know the numbers for 2018, but it’s highly unlikely Google Play is going to significantly turn around the ratio. It’s much more probable we’ll see Apple hold its throne at 66 percent or possibly even more at the end of this year. Although people around the world tend to download a lot of apps, we don’t really use them all. In fact, Android users in Australia, South Korea, Japan, the U.K., Brazil, India, and more all regularly use about the same number of apps: between 33 and 40. We might only use that many, but most everyone downloads at least twice that amount. Since so many apps are free, it’s hard not to simply download something if you think you might need it in the future or if you need it only for one specific task at one certain time. Once you download it, you probably won’t uninstall it, so there it sits, taking up precious space on your drive. Speaking of which, maybe it’s time for a purge of the ol’ app drawer. In 2017, people living in the Americas spent about $6.2 billion on apps and services within the Google Play Store. That might seem like a lot, but it’s not nearly as much as people living in the Asia Pacific (China, Japan, Korea, India, Australia, etc.) spent: about $11.2 billion. One of the reasons consumers in the APAC spend so much at the Google Play Store is because of carrier billing. Using carrier billing, citizens can charge their purchases directly to their phone bill rather than pay with a debit or credit card. Google expanded carrier billing support to the APAC region in 2013, which helped increase consumer spend in APAC countries by 15 percent in only one year. Of the millions of apps available on Google Play, many are for productivity, task completion, organization, etc., and consumers tend to download these apps more than anything else. However, there are a lot of games and other entertainment services downloaded as well — and they make a lot more money. In 2017, there were 71.4 billion downloads on the Google Play Store, and those downloads resulted in consumers spending $22 billion. A whopping 88 percent of that $22 billion — or $19.4 billion — was spent just on games. If you’ve got an idea for a mobile game, now might be a good time to pursue it. 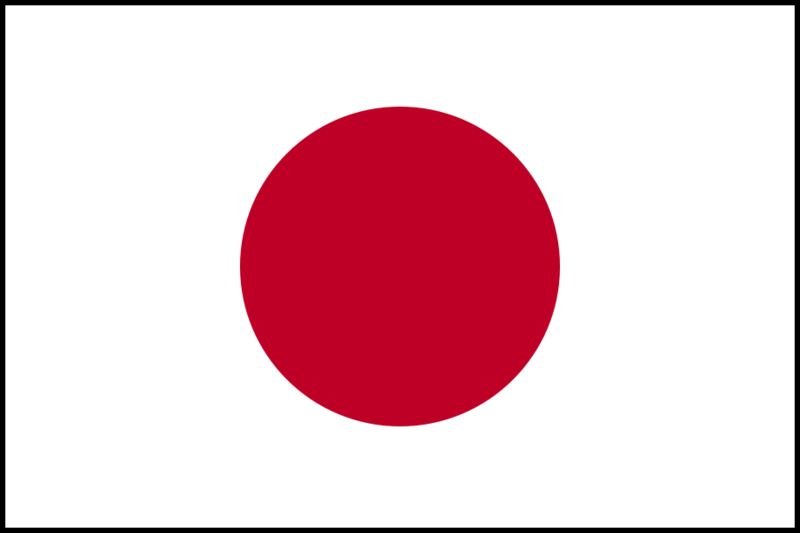 There are about 326 million people living in the United States and about 127 million living in Japan. That means Japan has a population only 39 percent the size of the U.S. Even with that big of a discrepancy, the Japanese are spending much more money on apps than citizens of the United States. In fact, Japan spent about $5.8 billion more than the U.S. on apps from January 2012 to August 2018. That’s a lot of spending. The country which spent the third-most amount of money in that same time period is South Korea, which spent $13.9 billion less than Japan and $8.1 billion less than the U.S.
As previously stated, there are about 2.6 million apps on the Google Play Store today. Some of those apps are money machines, but the majority of them don’t make big bucks direct from the Google Play Store. In fact, only 1,697 apps made more than $1 million from the Google Play Store in 2017. Additionally, last year, only 330 apps made more than $10 million from the Google Play Store (such as Netflix, seen above). For perspective, that’s only about 0.00013 percent of the total apps available. Granted, a lot of the biggest money-making apps earn almost no income from the Google Play Store — they make their money from your data, not directly from your app payments. Speaking of apps making gobs of cash from the Google Play Store, one of the biggest money-makers over the entire history of the market is dating app Tinder. From January 2012 to August 2018, Tinder made more money from the Play Store than Netflix, Pandora, and HBO Now. Let’s repeat that: on the Google Play Store, Tinder makes more money than Netflix. Granted, the rankings only take into consideration the in-app subscriptions earned via the Google Play Store. With that in mind, it is extremely likely Tinder makes a fraction of the revenue Netflix makes if you factor in the other sources of subscription payments. However, it can’t be denied Tinder is the big kahuna of dating apps when it comes to revenue. Imagine what the app makes on the Apple App Store! The list of the all-time top-ten apps by downloads on the Google Play Store features a lot of familiar names. In fact, the apps occupying the first four positions are all owned by one company: Facebook. From January 2012 to August 2018, the number one most-downloaded app from the Google Play Store was Facebook. The number two app was WhatsApp, which is owned by Facebook. The third most-downloaded app was Facebook Messenger, and the fourth-most was Instagram, which are both Facebook properties. For years, Android didn’t come with a built-in flashlight app. If you wanted to use your screen or your camera flash as a torch, you’d have to install a third-party app. Since using a smartphone as a flashlight is one of the most basic functions one can think of, flashlight apps were insanely popular for much of Android’s history. In fact, from 2008 until 2016, there was always a flashlight app on the list of the year’s most-downloaded applications. In 2015, Google added a universal native flashlight function to Android, and by 2017 flashlight apps no longer cracked the top ten. Over the past ten years, which Android app has had the most impact on your life? Let us know in the comments! Who knows, you could suggest something others haven’t tried before.